Hello all! I am Quilter #20 and my name is Lucy Brennan. I usually blog at Charm About You and can be found around blog land as Lucy@charmaboutyou. I find writing about myself difficult, I can't seem to introduce myself without it sounding either really formal or very silly so I will give a brief synopsis of who I am and then get right on with the quilts. I am a mum of three (aged 7, 5 and 2) and work part time/teach at Patchfinders, our local quilt shop. I will show you around the lovely shop on IG when I'm at work later in the week, it's fabric heaven! My previous hobby was Roller Derby but after breaking my elbow I thought I should do something safer. There are a couple of quilters in my family and they encouraged me to start. It turned into a passion, something I like to do a bit of everyday. I see quilting as a creative outlet, therapy and joy. My style has evolved over the past four years and I consider it eclectic, traditional, modern and me. I don't label myself as one type of quilter. I do patchwork and quilting on my machine but generally hand sewing/piecing/appliqué/quilting are my favourite methods. For my first blog post I thought it would be fun to look back over the quilts I've made and show you the ones that we actually use in our house! I've made quite a few quilts and you can see them all here but these are the ones currently being slept under, snuggled, made into dens and strewn around our house. Each quilt I make has a story, a purpose and always seems to teach me something too. 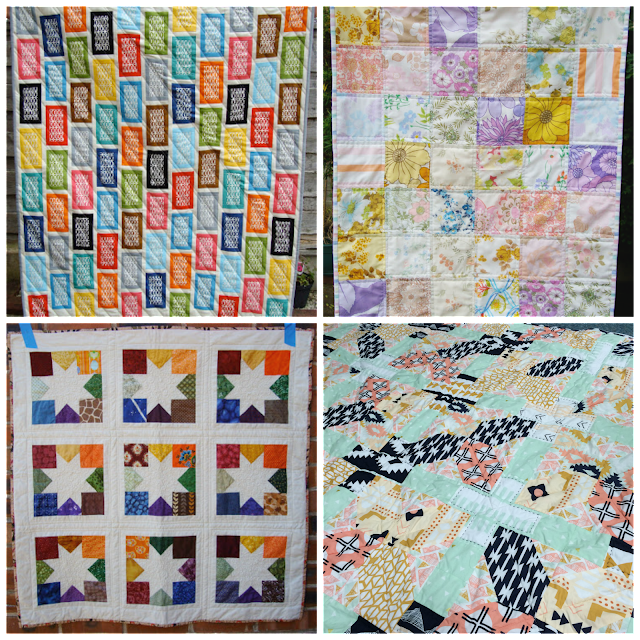 I love to blog because I can share those elements of each quilt, as well as have a record of my progress. Being part of 52 quilters is a thrill and I hope you will interact with me over on the 52 quilters IG and twitter this week! Post by Lucy Brennan - Week #20: Hi I'm Lucy from Manchester UK, a mother; blogger; teacher and LQS worker. Gleeful quilter who enjoys the charm of creating with fabric and needles! Find Lucy on Instagram at @charmaboutyou or visit her website at www.charmaboutyou.com. 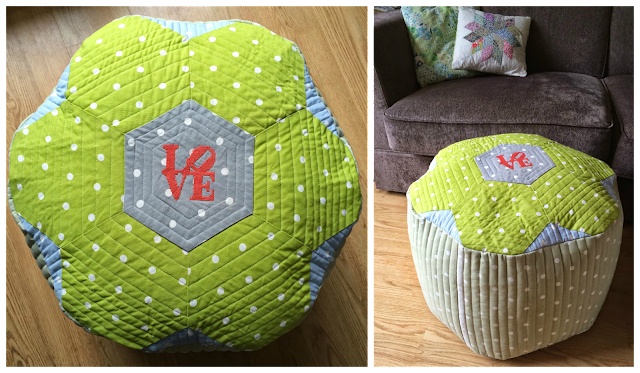 Thanks for sharing Lucy and how lovely to see that vintage sheet quilt you won as a kit from me 3 or more years ago! Both the girls love it :) and that stripy binding is one of my favourite ever! I never knew you did Roller Derby! What was your name? Roller Derby? That sounds dangerous - glad I got to meet you through our joint love of quilting! You make gorgeous quilts and set interesting but manageable challenges! I love the feather quilt! Is it paper pieced? I know how to do that fairly well. I'm working on a papered pieced quilt now. I already finished one. Well not all the way finished, I'm hand quilting it. But it's getting there. This is all very cool! You have grown so much since teaching me about thread uses! I will always follow you! Great job.